Oh, this is getting SO exciting! The Mauss family is getting SO close to their goal of $6000 to cover the costs of travel, food, and lodging during their two week training course in Ohio for Deeds' service dog! As of the date of this writing (forgive me for doing this late Friday night.. I'm hoping the numbers are even better by the time this posts), there is only $631 left to go! That. Is. Breathtaking!!! 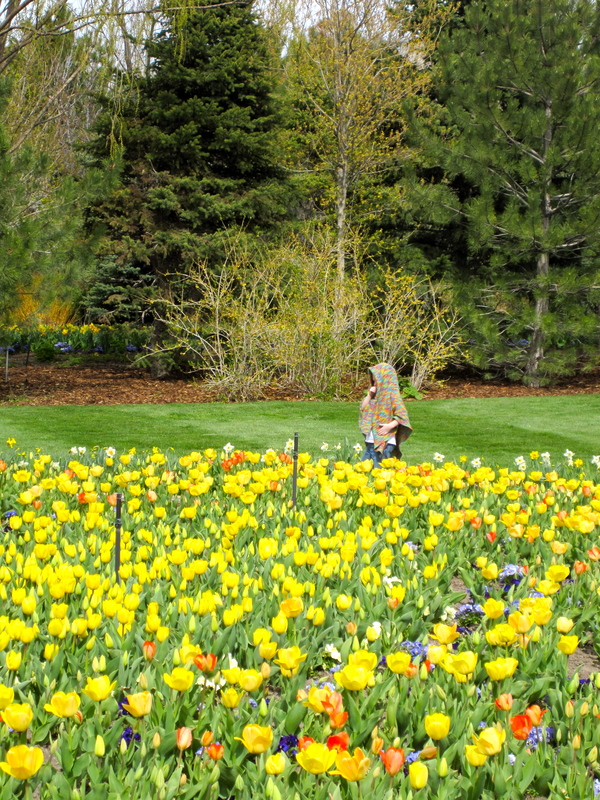 Here's Deeds at the Tulip Festival recently, with his trusty blanky, enjoying lots of gorgeous flowers.YOU can help the Mauss family reach their goal in their ongoing quest to get Deeds his much needed and specially trained autism service dog, in a variety of ways. Check it out! Purchase from their Zazzle Shop and be astounded by the talent of The Animated Woman. You can even purchase a gift certificate if you are giving a gift, so the recipient can choose their own item!! Excitement is in the air! There is so little left to raise. What will you do to help Deeds get his dog?